ROCK. FOLK. JAZZ. FOOD. DRINKS. FUN. "R. E. S. P. E. C. T. - find out what it means to me." We are known for the high respect we show musicians and bands that we hire to perform here. We treat them well and guess what happens? They put on a great show and you benefit. Bands love to play the Roadhouse. Our crowds love it, too. But wait, it is NOT only music. We also love to eat!!! 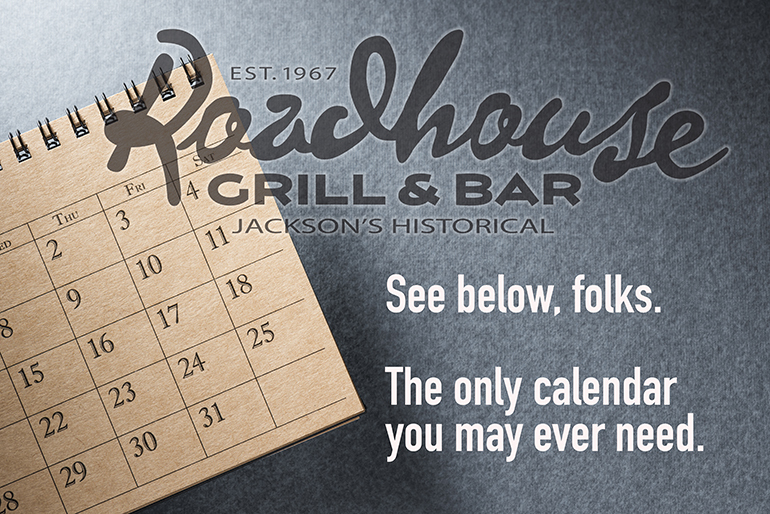 Check out our weekly food specials and events (like our Annual Golumbki Cook-Off). We know how to bring you back again and again. Like us on Facebook so you can easily follow and see the events and specials.